Today there is a Design Team Reveal up on the Just Imagine Crafts/Kreaxions Punches Blog. 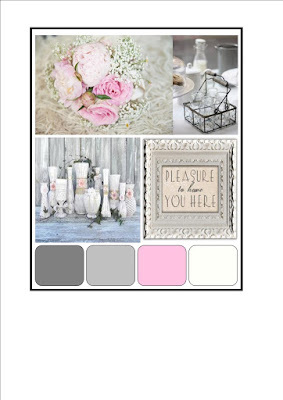 Be sure to check it out and see what the rest of the Design Team did for the theme “summer”. I created this card using the Kreaxions 4 in 1 punch #921 with no insert. I love discovering new ways to use these punches! I have a Design Team project up on the Just Imagine Crafts/Kreaxions Blog today. I created this card using my new Gelli Printing Plate, my Kreaxions Circle Cutter and the Kreaxions 4 in 1 punch # 910. 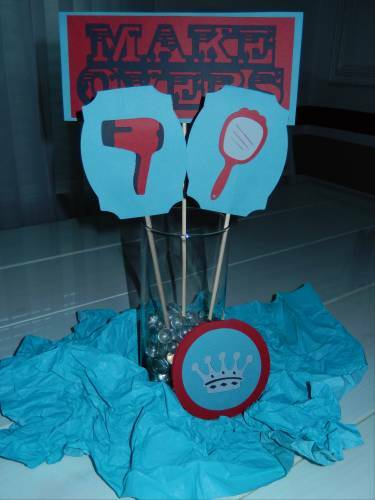 I know I’ve posted this before but really … the circle cutter is the best tool ever! So easy to use and you get perfect circles every time even when cutting through multiple layers. First I printed design on a piece of white paper using paint, my Gelli Plate and some stencils. I then cut the circles from my printed paper using the circle cutter. After layering the circles and adding the pearl’s I cut stems from a vintage music sheet and inked the edges. I took a left over piece from my Gelli Plate printed piece and cut a strip long enough to fit across the card. I punched it with the Kreaxions 4 in 1 punch #921. I had the quote in my stash. Gotta love it when you find the perfect thing in your stash to complete a project! I then adhered everything to the background cardstock and stitched. What little girl wouldn’t love a Happy Birthday Makeover Party? And this cute party set is sure to get the party started! 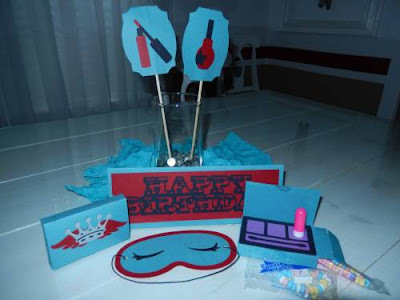 I created this Birthday Makeover Party set with my Cricut and the Girls Makeup Party Cartridge. I hope you can join us at Turtle Soup for the July Birthday Bash Crop. 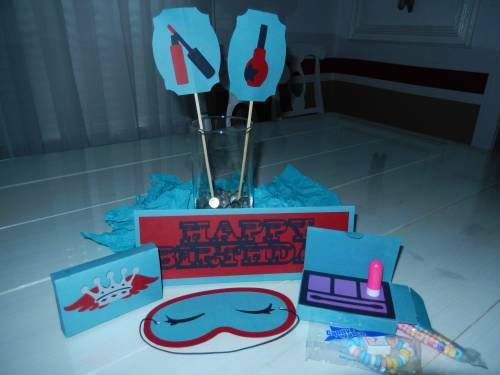 My challenge to you is to create a “girly” birthday gift box, card, tag, layout, or altered project. You have till the end of the month to play along. Post your project in the Turtle Soup gallery and link it to my challenge thread in the forum. Can’t wait to see what you do! How fun are these treat boxes that look like eye makeup cases?! ... and filled with a candy necklace, bracelet, a ring and a candy lipstick. A birthday invite that looks like a compact case. So many fun things ... makes me want to have a party! During the month of July Turtle Soup is having a Birthday Bash Crop. Be sure to stop by and check out all the fun challenges and games … and the awesome prizes being offered. This is my take on the sketch with a few close-ups. I hand stitched around the buttons. Layers of Vellum that has been misted and distressed paper. 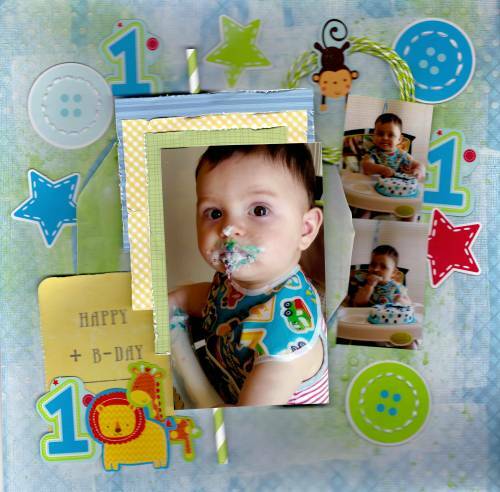 I used photos from our grandson Vincent’s first birthday party. How appropriate for the Birthday Bash Crop! 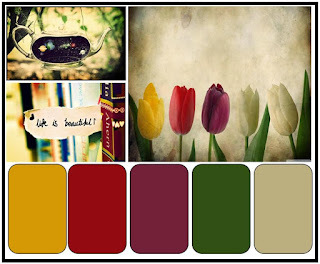 I completed this tutorial for the Off The Rails Scrapbooking Blog. I think I have found a new favorite tool ... Lovin my Gelli Plate! 3) Using a rubber brayer I spread the paint over the plate blending the colors into a thin layer. 4) I placed a variety of stencils on top of the wet paint. 5) I removed the stencils from the plate to reveal the design. 6) I placed a canvas bag on top of the plate and pressed down gently with my hands. I turned the bag over and repeated the process. 7) I lifted the canvas bag off the plate and VIOLA! … oh the possibilities! 8) I attached some flowers to the front of the bag to complete it. What a unique little gift bag. I also have a Design Team project up on the Just Imagine Crafts/Kreaxions Punches Blog today. “Life is Good”. I made this card using the Kreaxions Circle Cutter, Kreaxions Stencil B, Kreaxions Positioning Parts and the Kreaxions 4 in 1 punch #905. I will say this punch is one of my favs! 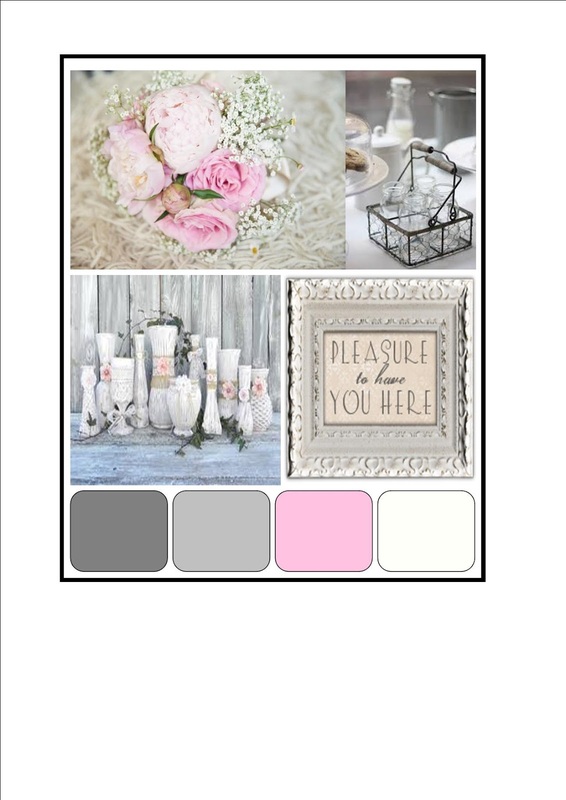 Be sure to check out the blog to see what the rest of the design team has done this month. It’s July 1st and there is a Design Team Reveal up on the Off The Rails Scrapbooking Blog. 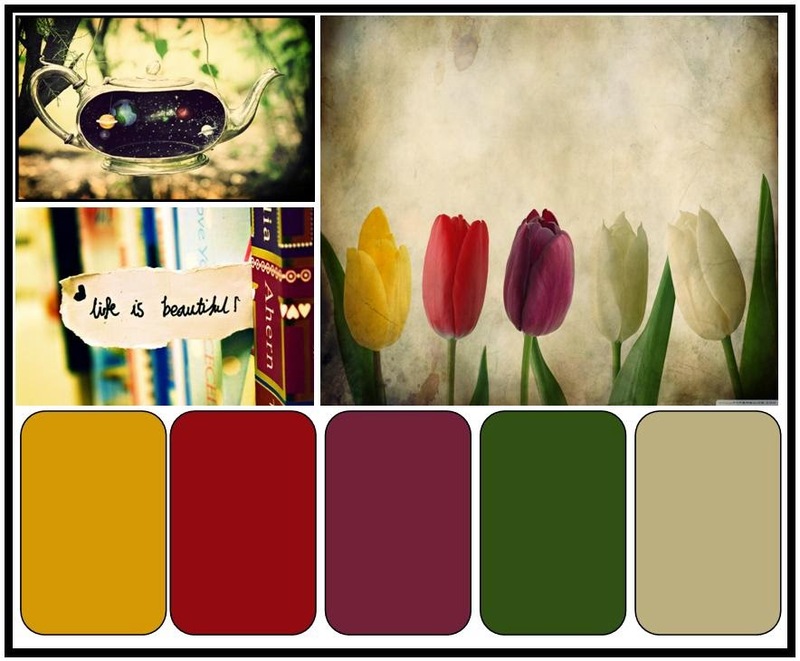 This month there are two mood boards to choose from and both are so inspiring. And be sure to check out the sponsor this month: Imaginarium Designs for an amazing variety of chipboard! 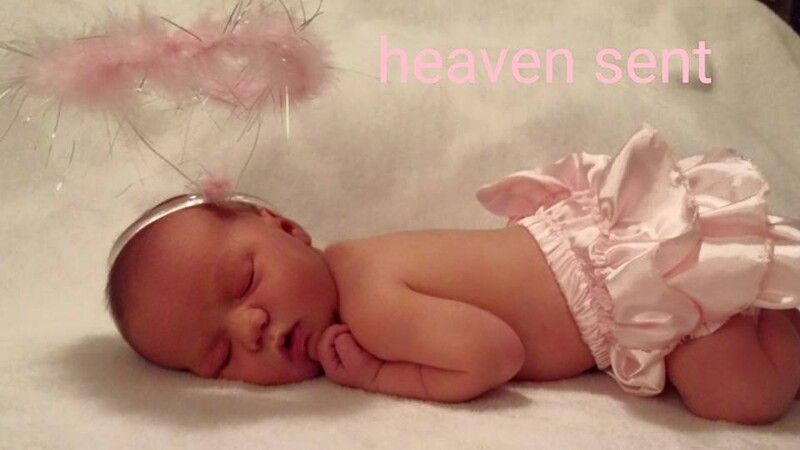 When I saw this adorable photo of our newest granddaughter Faith-Anna, I knew I would be using option 2 of the mood boards to create my layout. I created the background using my newest paper crafting purchase, a Gelli Plate. My new favorite tool! The potential for creativeness with this printing technique is … well … unlimited.